Some of the world’s best medicinal herbs can be found in the tropical rainforests of Brazil; the suma root is no exception. In Portuguese, the root is referred to as “para tudo” which means “for everything.” This is an apt name when you discover just how native Brazilians have used this herb for generations. It wasn’t until 1975, however, that Suma was introduced to modern medicine and tested at the University of São Paulo, Brazil. In the US, as part of a marketing effort, the herb was actually introduced as the Brazilian ginseng. This has caused some confusion since the only characteristic the herb has in common with the ginseng family is its appearance. As far as an herbal remedy, the suma plant plays an important role. In fact, South American natives would consume it as a part of their daily diet. Most notable about the suma root is the fact that it is an adaptogen. An adaptogen is a substance that strengthens and protects the body and mind against stress. Since the body is always undergoing various levels of stress, an adaptogenic herb can be helpful since it has the ability to target the entire body as well as target whichever individual systems and organs that are in need of the most help at the time. Adaptogens also help restore balancing factors in the body that are necessary for optimal overall health. Studies conducted by Dr. Milton Brazzach have concluded that although suma root is not a cure for certain diseases, its benefits brought significant relief for cancer, diabetes, and gout sufferers -- with no undesirable side effects. Since then, studies at the American College of the Healing Arts by Dr. Michael Tierra, author of The Way of Herbs, indicate that consistent use of the Suma plant may help combat fatigue (including treatment of chronic fatigue and low energy conditions), prevent colds and flus, speed healing, and regulate blood sugar. And most important of all: germanium. The Suma plant has one of the highest concentrations of Ge-132 of any plant in existence. What's the big deal with Ge-132? It was actually discovered about 20 years ago by a Japanese research chemist named Kazuhiko Asai. Its full name is bis-Carboxyethylgermanium Ses-quioxide (or Germanium Sesquioxide, for short). Ge-132 works much like Pau d'arco in that it stimulates production of interferon gamma, while at the same time activating cytotoxic natural killer cells and macrophages. This is why you’ll find it as an ingredient in Jon Barron’s Immunify formula. According to studies by Dr. Parris M. Kidd, "This substance, while free of major side effects, can apparently invigorate, rejuvenate, protect against miscarriages during pregnancy, heal burns without scarring, cure radiation sickness, restore eyesight and hearing, kill the pain of advanced cancer, and shrink cancers within weeks. In fact, a Japanese study showed that suma derivatives inhibited the growth of melanoma tumors in a test tube, as well as in mice. In a 2010 study, suma controlled the proliferation of cells as well as promoting apoptosis, or the death of malignant cells, in laboratory mice. Circulatory disorders, including heart attacks, angina pectoris, stroke, and peripheral impairments respond well to Ge-132, as do hepatitis and cirrhosis and several behavior disorders." Brazilian natives have long used suma for its aphrodisiac qualities, and there may be some scientific evidence to help back that claim. In a 1999 study published in the journal "Psychopharmacology," extract from the plant improved impotent rats' ability to perform sexually. Another 2003 study published in the "Journal of Reproductive Development" discovered that suma raised progesterone and testosterone levels in lab mice. You can most often find suma root in tinctures, capsules, or tablet form; however, it is also available as a dried and powdered herb. 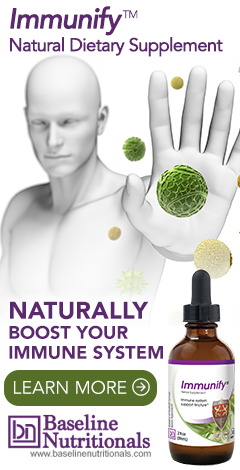 Learn more about naturally boosting your immune system. Do you have data as to the effect of the Suma Plant for Prostate Cancer? Thanks for your informative article on Suma roots. The article mentions hepatitis. Would that include Hep C?